This beautiful property is an exceptional blend of local historical significance and outstanding recent creativity. 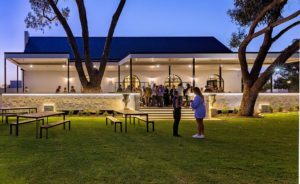 Previously known as Newton House and built in 1852, the Restaurant, combined with the Guesthouse and the recently constructed Tavern, displaying a rich tapestry of European deluxe styling, make up the Amelia Park Lodge, located in Abbey Western Australia. Amelia Park Lodge is a ‘must see and do’ on your next trip to the South West. 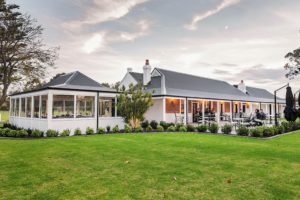 Amelia Park Lodge is a family owned and operated business, established by Peter Walsh in 2017. Peter and his family have a strong heritage in the South West region, and are delighted to create this beautiful establishment to be enjoyed by locals and visitors alike. The Restaurant is the original historic dwelling on the property. This building with low-stoop doorways and high ceilings, has been lovingly restored with the conservatory as a welcomed addition to the front of the building. The history of the building is displayed in the images on the walls, and by the showcasing of original features, such as the kitchen stove in the main foyer. It’s an authentic tribute to local history, and has a delightful menu to boot. 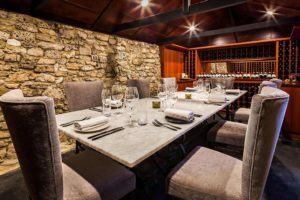 For an intimate and exclusive dining experience, there is the Private Dining Room, perfect for celebrating milestone events and anniversaries, or for people seeking a private dining experience. Catering to just 8 persons, enjoy a set menu and premium wines. To book the Private Dining Room please contact The Lodge. The Tavern, although sympathetically designed to externally match the era of the Restaurant, internally resembles a Viennese concert hall in height and grandeur, with an eclectic mix of French, Italian and Spanish furnishings. Fitted with antique mirrors, copper bar, marble vanities, imported Italian tiles, and large Spanish inspired chandeliers, gives you a truly sumptuous European experience. A whiskey room and champagne lounge, add to the rich and luxurious mood. 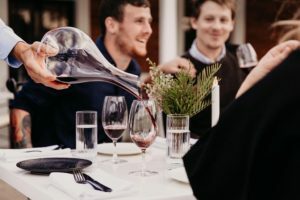 The Guesthouse, onsite with the Restaurant and Tavern, is conveniently positioned within proximity to Busselton, Dunsborough and the Margaret River wine region, offering a central location for you to enjoy all that the South West has to offer. 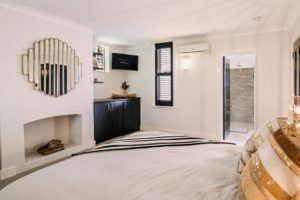 The Guesthouse rooms are fitted with all the necessary conveniences, and is the perfect accommodation option for your next trip down south. Please note any special requests in the message field above. 'Book Now' to confirm your booking. You will be redirected to PayPal to a complete your payment.